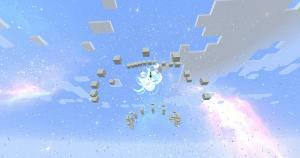 This is a parkour map set in the sky. 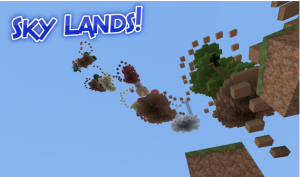 You have to make your way though different biome themed mini-islands that are all connected. 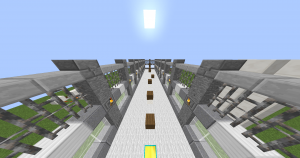 Parkour School, everyones favorite thing in Minecraft. They jump, they fall and they rage. After the first school was closed for 2 years they reopened it. 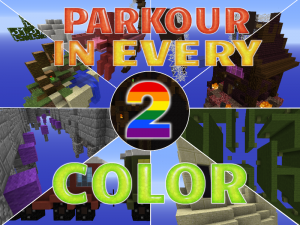 With NEW PARKOUR! 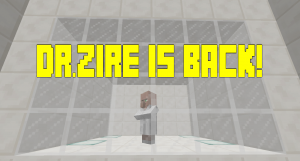 A parkour map where you must once again escape the evil clutches of Dr.Zire. Can you do it? 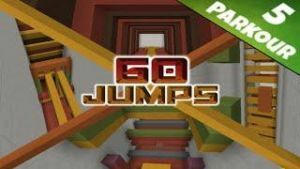 Let's celebrate 40 Jump's one year anniversary by playing 60 Jumps, a map with 60 epic levels that include 11 clay blocks with special effects! 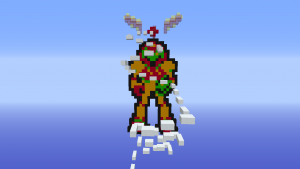 Jump from platform to platform to collect ingredients for a delicious cake... again! 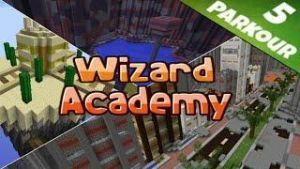 Parkour your way through mineshafts, villages, dungeons and more in this fun and challenging medium length 1.8 map! Who watches youtube? Yeah, just about everyone. 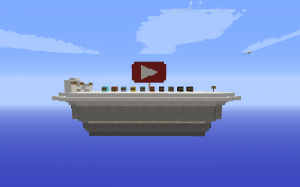 If you watch youtube, I bet you'll recognize some of the names in this map. 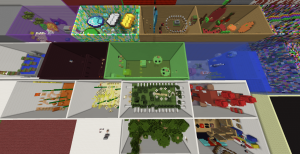 This is a parkour map with 14 stages of all the different aspects of parkour. 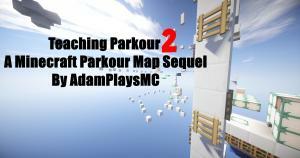 This easy parkour map has 7 stages in total, and is multiplayer compatible. 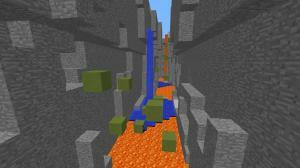 Rockin' Jump is a timed map where the time you get, is the time you need to beat. 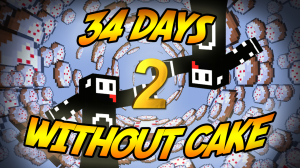 Can you do it? 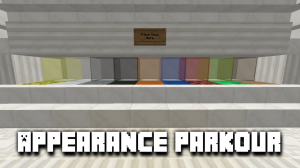 A single player parkour map with 10 fun stages! 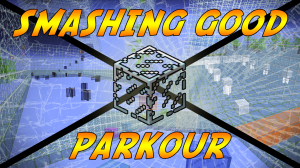 Parkouring with effect powers! Use your power to go though all the chambers and let the core explode! Good luck! 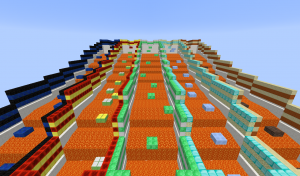 A super fun map where you parkour atop colored clay blocks that give you different effects such as speed, blindness, and even death! 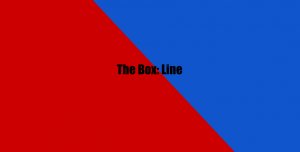 The Box is back in an all new parkour series! 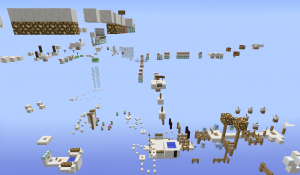 A map containing almost every single type of parkour ever made. Are you good enough to complete it? 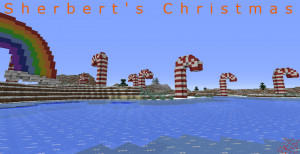 This is the sequel to SkyLands Parkour and this time it's holiday themed! 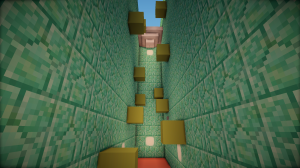 A fun challenge map where you parkour in ten second intervals. Will you finish the course with less than 21 deaths? Or are you a big noob? 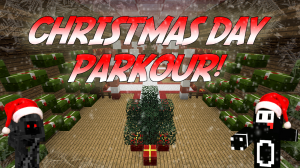 Jump through 6 Christmas themed parkour levels and 2 bonus dropper levels in this holly jolly map! 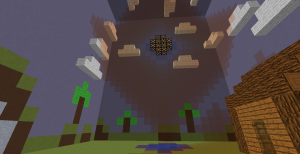 In this map, we pay homage to some of the best games of our childhood! Do you have what it takes to travel to the North Pole and stop Sherbert Frost from ending Christmas? 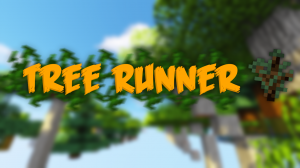 Test your parkour skills in a race with another foe, or just jump by yourself! 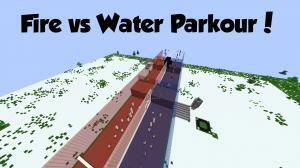 In this map, parkour goes down not up. Hope you enjoy the map. 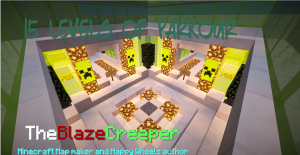 Shatter your opponent in a head to head parkour race, then see who can complete 3 dropper and parkour levels with the least amount of "shards". 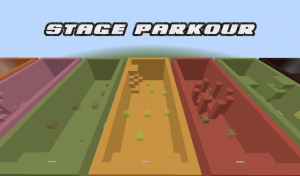 You and a friend race through different parkour courses! Then you PVP with the gear you have gained from each course! 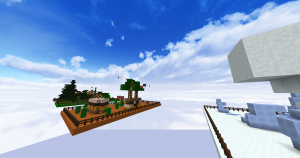 In this map you have to parkour over tree tops, but the leaves of the tree are decaying! So you need to think fast, and move fast. Complete all 9 levels by using the new 1.9 levitation effect by right clicking the Mega Feather in mid-air to jump multiple times! 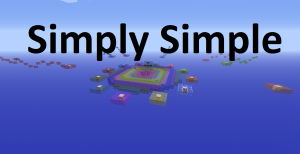 Come and join my creation map, where everything is normal, and there is nothing else to do but see what I've built. Yeah right, heh heh. 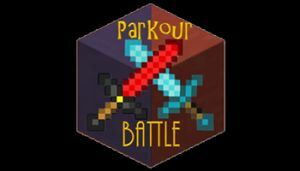 Run through several different types of parkour, and levels of parkour. 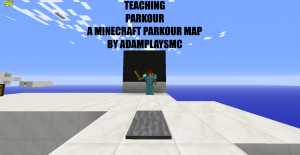 Master all of them to become a true parkour legend! 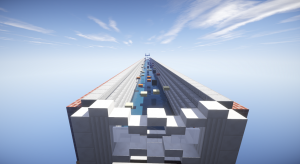 A parkour map with 8 stages containing 12 custom blocks that will provide you unique buffs and debuffs. 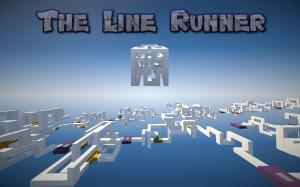 Welcome to The Line Runner, a parkour map that tests your knowledge of mazes and perception and mixes it with parkour. Race with a friend, or go solo! 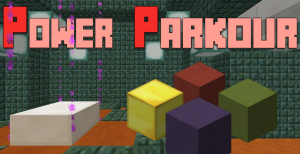 This is a fun, hilarious, short map designed for "The Pack" Youtube group that anyone can enjoy! 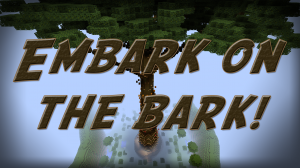 Don't be a shrub -- it's time for you to embark on the parkour of a lifetime! 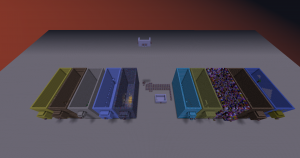 This map has a set of 10 stages and one mega final stage. 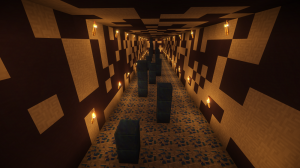 Hope you enjoy the map. 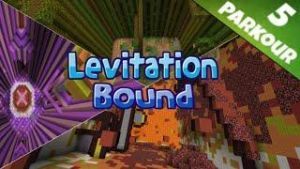 Play through 16 totally different levels from ice parkour to Tnt Run parkour! 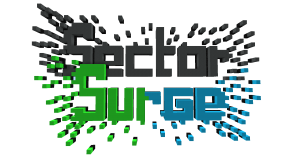 No level is the same, so are you up to challenge... are you ready to have fun... download and you will see! 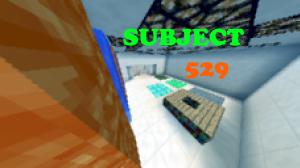 This is a new map from TicksTox, featuring 12 different jump types, 30 levels, and over 2000 blocks of parkour! 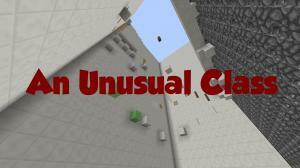 Can you master every single class in the Parkour school? 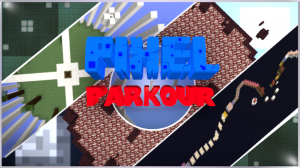 Learn about almost every genre of parkour, and get prepared for your final exams! 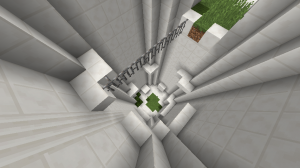 A new parkour challenge map, but with a twist. 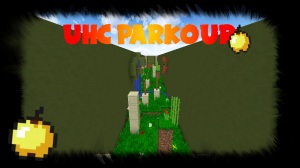 UHC Parkour is parkour but with no natural regeneration. 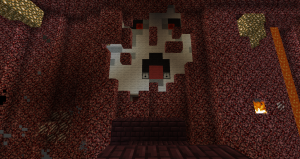 This map is dedicated to the pack! 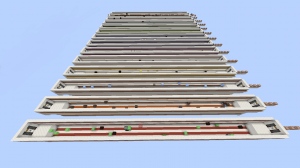 Welcome to Pixel Parkour, where everything in made out of pixels.